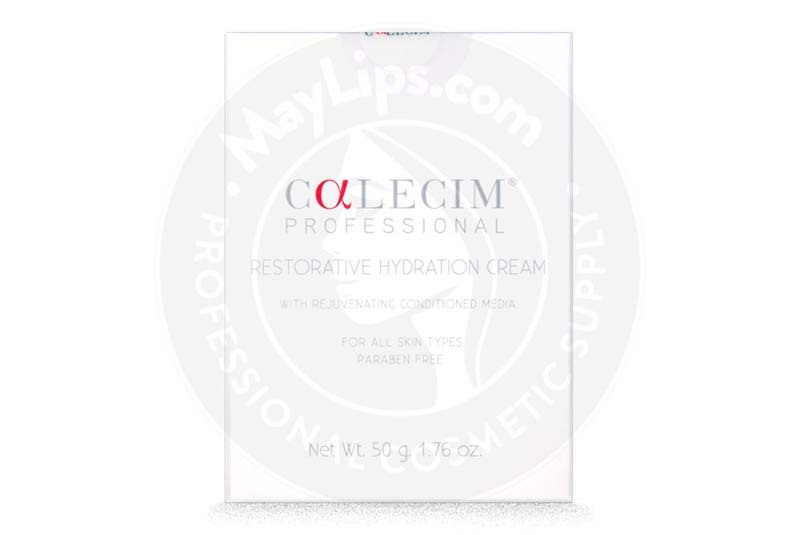 CALECIM® Professional Restorative Hydration Cream is a moisturising cream with a light texture that is meant to be applied over any corrective skincare product. This cream is infused with remarkable anti-ageing key ingredients such as patented protein mix made from umbilical cord lining stem cells known as CALECIM Rejuvenating Conditioned Media. These ingredients, once applied on the skin, rejuvenates the hydration status, elasticity, and radiance of skin in just 28 days, while optimal results take about 90 days to appear. This hydrating cream is supplied in a 50ml jar that must be stored in cool conditions, not exceeding 33°C or 91.4°F. Once opened, it must be used within 2 months to preserve the properties of protein present in the cream. Deep-set wrinkles and facial creases. Patients with normal, dry, combination, and sensitive skin types can use this cream to improve their skin conditions. Besides that, this cream can be incorporated into patients’ post-procedural skincare routine to reduce downtime and improve the outcomes of cosmetic treatments. Skin is deemed healthy when it is adequately moisturized, naturally smooth, elastic, firm, and with an even skin tone. The health status of the skin is maintained by the normal biological process of the body, mainly the desquamation process which helps to remove dead dermal cells to make way for the synthesis of new cells. Unfortunately, some patients’ bodily systems are not as efficient at maintaining the skin health due to the inevitable ageing process. In addition, with external ageing factors like direct sunlight and smoking, skin will most definitely display premature signs of ageing such as dehydration, formation of facial wrinkles, and loss of beautiful facial volume and contour. CALECIM Rejuvenating Conditioned Media: This component is made of concentrated mix of proteins and growth factors that are derived ethically from mammalian stem cells (umbilical cord lining). This ingredient which is unique to only CALECIM products is patented in 41 territories. 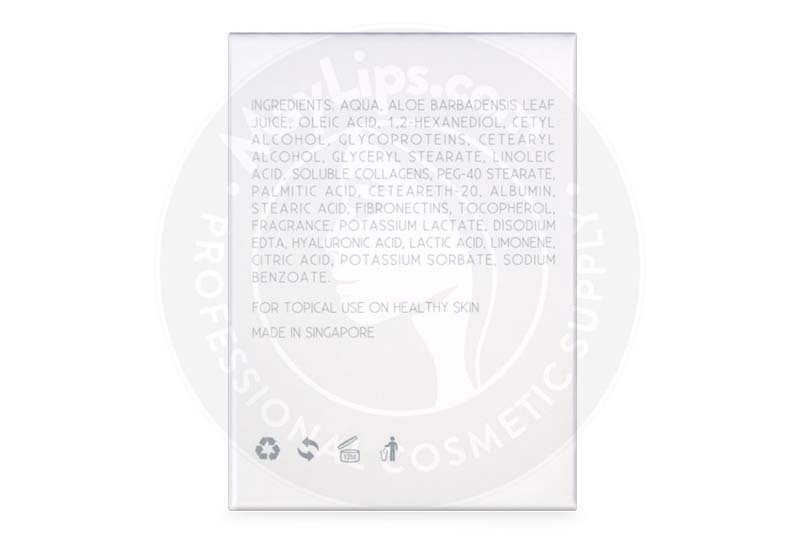 It contains a combination of collagen, albumin, fibronectin, peptides or glycoproteins, and hyaluronic acid. Once applied on the skin, these ingredients encourage every layer of the skin to rejuvenate and renew, resulting in improved appearance of premature aging signs. Tocopherol: Also known as Vitamin E, this potent antioxidant shields the skin from free radical damage and prevents trans-epidermal water loss (TEWL). Aloe Vera: This multi-purpose plant is renowned for its skin soothing property and is incorporated in this cream to intensely hydrate the epidermal layer of the skin. Glyceryl Stearate: This naturally-derived fatty acid is an efficient emollient that helps to smoothen, soften, and moisturise the skin. All the ingredients above are processed using Youth Messaging Technology, which encourages the skin to increase the production of glycoprotein like hyaluronic acid. The unique technology also directs the skin cells to be highly mobilized so that they can move around, especially towards any skin injuries or trauma that need to be healed quickly. Not only that, the technology also restores and increases the cellular turnover rate so that the skin remains healthy for a long time. Before using this cream, patients should cleanse and tone their face. Then they may apply a pearl sized quantity of this cream all over the face and neck, twice daily in the morning and at night. For optimal anti-ageing effects, patients are encouraged to pair this lightweight hydrating cream with other CALECIM Professional skincare products. Patients with normal to oily skin should apply CALECIM Multi-Action Cream on cleansed and toned face, followed by this cream. On the other hand, patients with normal to combination skin may use this cream alone, followed by any good quality sunblock during the day. What is the duration of action? All the essential and high-quality skin-nourishing ingredients help to restore the skin’s renewal cycle back to 28 days. This process is known as skin-cycle reset which may take up to 2 to 4 weeks for the early skin improvements to appear, provided patients apply the cream diligently twice daily. 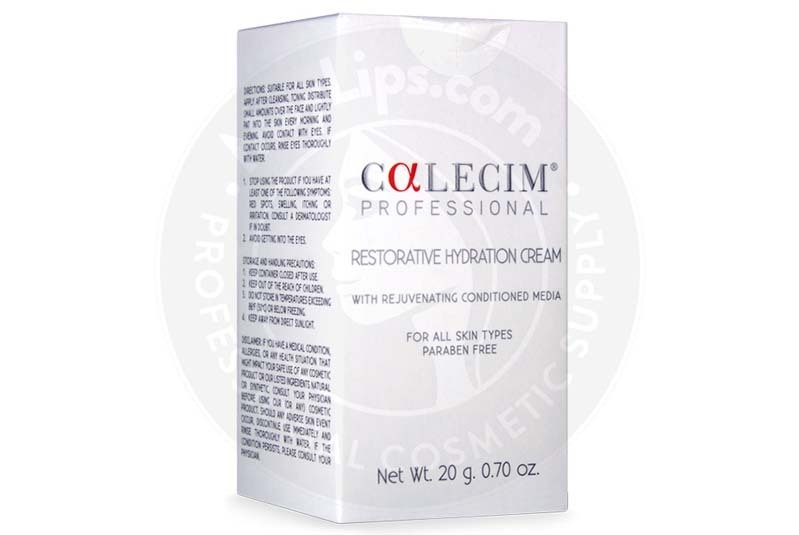 Yes, CALECIM Professional Restorative Hydration Cream is a very safe product that is manufactured in ISO-certified laboratories. While this cream is suitable to be used in patients with different skin types, patients with active acne should not use this cream until their condition improves. This cream can also be used by pregnant or breastfeeding patients. It is best that this group of patients consult their obstetrician/gynaecologist before incorporating a new product into their original skincare routine. 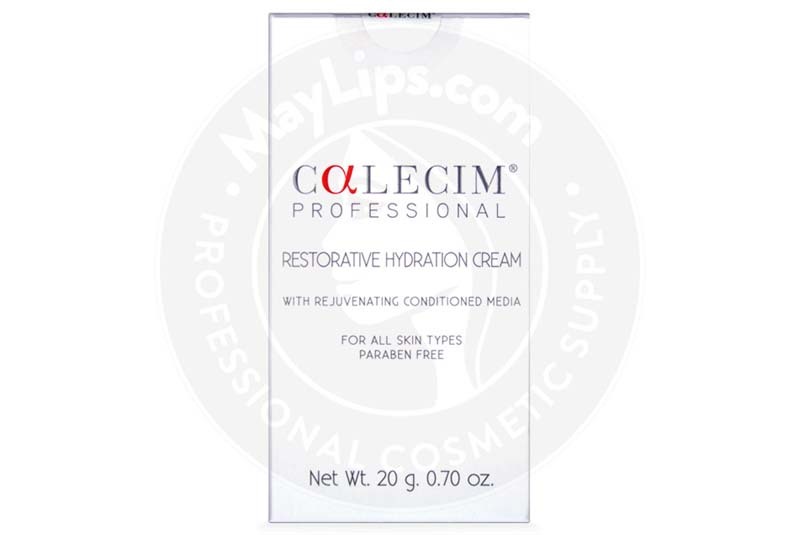 As of now, negative side effects following application of CALECIM Professional Restorative Hydration Cream have not been reported. However, patients may experience skin blemishes as the skin renewal process kicks in. 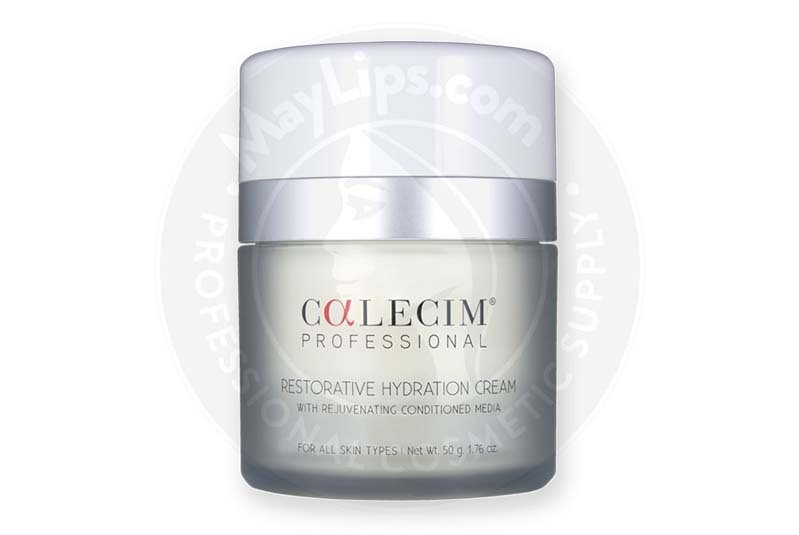 CALECIM Professional Restorative Hydration Cream is a lightweight textured yet deeply moisturizing cream that is manufactured by CALECIM Cosmeceuticals Pte. Ltd. 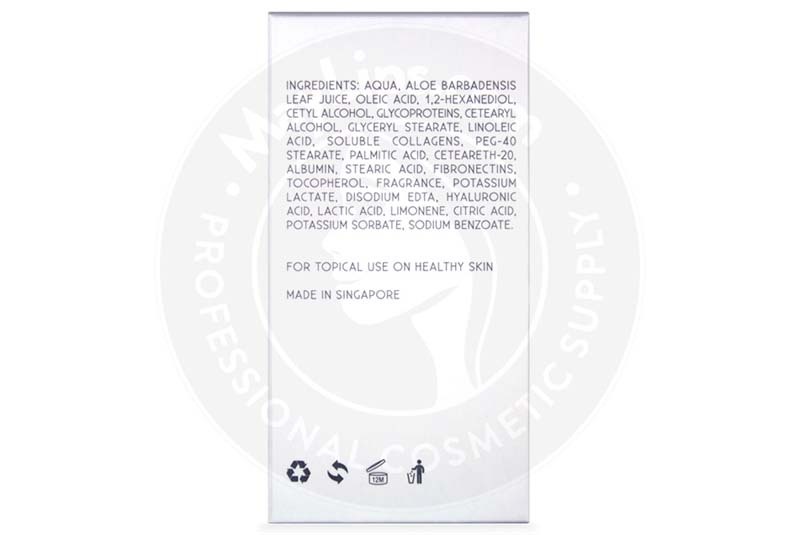 It is composed of a unique blend of CALECIM Rejuvenating Conditioned Media, glycerol stearate, aloe vera, and tocopherol that help to rejuvenate skin renewal cycle and improve the skin hydration status.